VentureBeat had an interview with Phil Eisler, the general manager of cloud gaming at NVIDIA. He said that NVIDIA began working on cloud gaming four or five years ago with some software architects. They were looking at encoding the output of the GPU and sending it over the internet, and experimenting with that. They built that into a series of capture routines and applications programming interfaces (APIs) that could capture the full frame buffer or part of the frame buffer. Now NVIDIA is committed to cloud gaming with over 100 of their employees and is betting heavily on the future of it. Phil thinks that it's unfortunate what happened with OnLive, but a lot of their problems were of their own doing and NVIDIA wouldn’t do some things the way that OnLive did. He pointed out that the naysayers certainly had a field day with OnLive's problems. NVIDIA still sees a lot of potential for the vision of cloud gaming and they don’t see what happened with OnLive as a negative for the long-term potential of cloud gaming and they’re still bullish on it. Phil said that the fact that Sony was willing to pay $380 million dollars for Gaikai gave a big boost to pro-cloud gaming people. The console guys are now very aware of the potential of cloud streaming games to TVs and other devices. Phil put the number of current cloud gaming services like OnLive, Gaikai, Playcast, Ubitus, G-cluster, Agawi, CiiNOW, Cloud Union and OTOY approaching 10 and found it interesting comparing that number to the number of companies that were originally in the graphics business when it started. 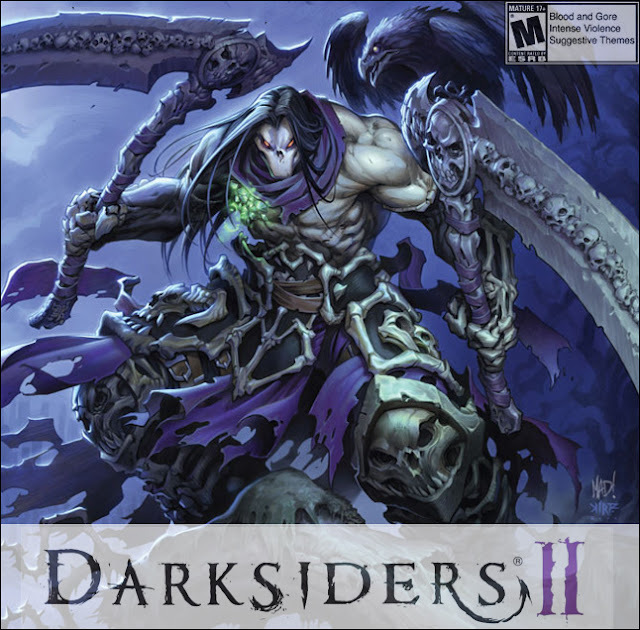 He laughed at the fact that the cloud gaming business still has 20 to go to reach the number of 30 companies that started in the graphics business, and then went back down to two. He found it funny that there does seem to be a new cloud gaming middleware company coming up every week or month or so. Speaking of cloud gaming middleware, Phil said that these companies are a necessary function in the cloud gaming ecosystem. They perform a system integration function, and they provide some software that enables user accounts and signed games to users and onboarding of games. So they have services that they provide to anyone trying to offer a service. They’re trying to work with different partners to reach as many potential game subscribers as possible. Phil said that NVIDIA has started doing early work on remote desktops prior to OnLive’s revealing. Actually, they filed quite a few patents early on in that area. But then they worked and supported most of the early cloud gaming startups like OnLive and Gaikai. They still work with the growing number of cloud gaming companies as the market evolves and grows. Phil talked about how he sees the development of OnLive and Gaikai. The deployment of server infrastructure for cloud gaming was expensive for them, he speculated that OnLive has an 8,000 concurrent stream capacity and Gaikai half of that number. But he thinks that that was only part of the OnLive story, not all of it, maybe not even the most important part. Phil said that OnLive and Gaikai were both able to lease the server infrastructure. It was a heavy burden on them as startups, from that standpoint. But they only supported one game per machine, so had no virtualization. They were early pioneers and they were focused mostly on getting it working. When they started, nobody was doing it, so they had to invent the encoding technology, the virtual machine technology, the distributed game technology. Being small startups, they were mostly focused on the quickest path to make it work, which is what they did. They didn’t really get to the second phase, which was cost-reducing it and adding more concurrency. And they did it largely without a lot of support from even NVIDIA. In the early days NVIDIA gave them little bits of help, but not a lot. NVIDIA didn’t design products for them. 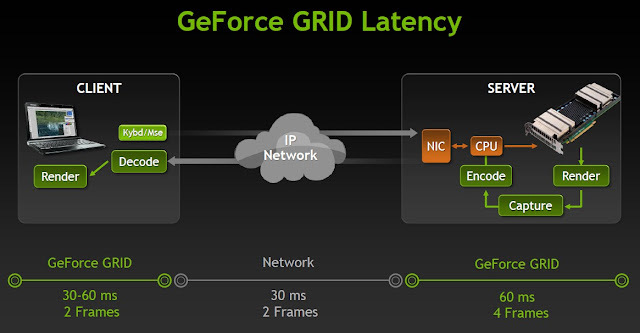 The Geforce GRID cloud gaming technology was the first time NVIDIA designed products for the cloud gaming market that were made for that purpose, so it makes it easier for them to scale it out. Phil pointed out that the Kepler GPU architecture, that is underlying the Geforce GRID cloud gaming technology, is the first generation that supports cloud gaming. The GeForce GRID GPUs have the ability to encode four simultaneous streams to gamers. The actual virtualization of the GPU can be more than that. The encoding, currently, depends on the resolution and framerate. But practically, it’s about four. He thinks it will get on a Moore’s Law type of trajectory in the future, where the number of streams per server will double every year with the number of users per server going to 8, 16, 32 and so on. Phil claimed that NVIDIA is working very hard on GPU virtualization and part of their VGX effort is to develop the hardware and software for a GPU hypervisor to enable the virtual GPU. 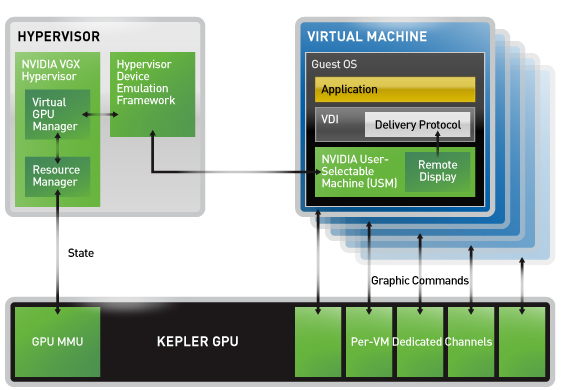 Virtualizing a GPU is a very hard problem to solve, but NVIDIA is solving it and their early results are promising. He thinks that NVIDIA will get better with each generation of hardware and software and said that that’s a major effort for NVIDIA right now. 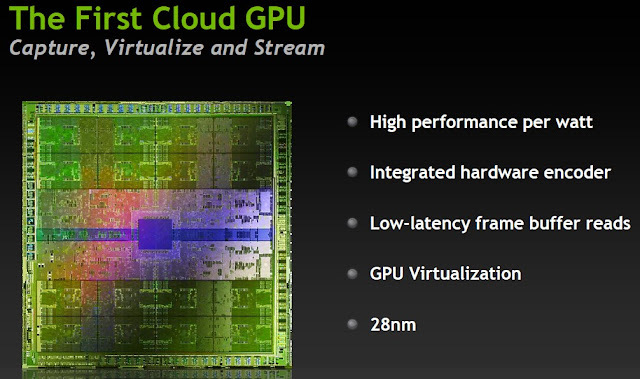 Phil said that NVIDIA is offloading the encoding parameters from cloud gaming companies. 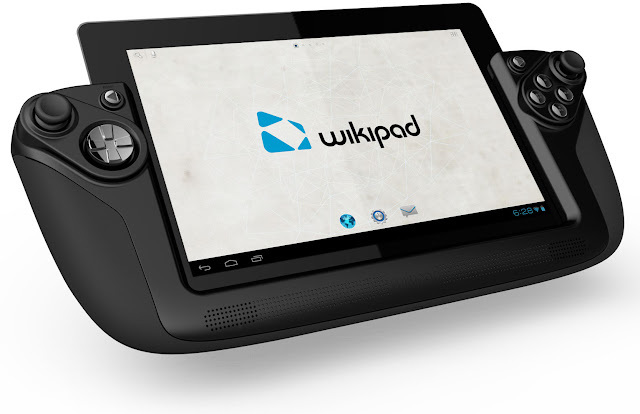 They were either doing it through external hardware like OnLive or through software on the CPU like Gaikai, both of which involve a lot of data transfer and power consumption. 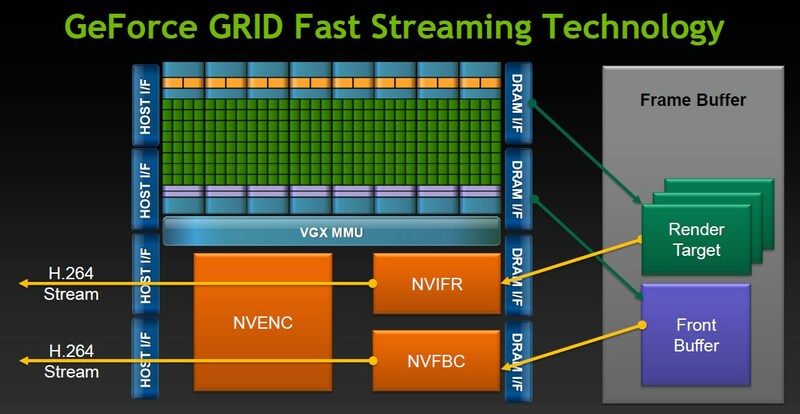 Because NVIDIA is doing it on the GPU, that offloads the CPU for more games running and reduces the power and enables more concurrency, so you can get more simultaneous streams per server and reduce the cost per stream. Then there are many more servers with GPUs coming to data centers thanks to NVIDIA's work with server builders like Dell, Super Micro and Quanta to build space for GPUs into their architecture. They'we actually pioneered that primarily through their Tesla group. They are leveraging a lot of the infrastructure that was built for that to plug their GPUs in. That’s working out well and making it easy to assemble and put GPU servers into data centers. Phil thinks that a good tradeoff of experience versus bandwidth for streaming games is 720p, 30 frames per second and about five megabits per second. They could do 1080p and 60 frame per second with the bit rate of 15 to 20 megabits per second, and they can go lower to 480p and 2 megabits. He added that bandwidth and latency are currently the problems for cloud gaming. NVIDIA is doing a lot about the problem of latency with the Geforce GRID cloud gaming technology by doing a much faster capture and encode of gameplay video. They’re able to save about 30 milliseconds of latency, which helps a lot. They’re also working on client optimizations, which can save maybe another 20 milliseconds of latency. Also, with Moore’s Law, they will improve the bandwidth and resolution. Phil was at a product launch in South Korea with LG U+. They were announcing two choices for their TV cloud gaming service. One was 50 megabits per second and the other choice was 100 megabits per second. There, we can go 1080p, 60Hz, and it’ll be a beautiful picture. He thinks that is the future for this country as well. Phil believes that the next console generation will also be the last console generation. The last one is almost 10 years old now in terms of the technology. The good thing about cloud gaming is it’s going to get better every year. One of the reasons NVIDIA is investing in it is they see that there are some issues today, but they’re all solvable, and they’re all moving in the right direction. Bandwidth is going up. The cost of server rooms is going down. They’re bringing latency down. The experience will just get better and better every year, to the point where he thinks it will become the predominant way that people play games. He added that you can put out multiple Blu-ray discs, but who wants to jockey discs anymore? People don’t want discs in their lives anymore. They want to download everything, and when you’re downloading that kind of stuff, it takes a long time. So they’re also pushing the ability, of course, to play instantly. You don’t have to download anything. You don’t have to update any patches. It’s all maintained for you. You just play. Phil emphasized that the average gamer playing on an Xbox 360 today with a standard television is probably experiencing 150 to 200 milliseconds of latency, and that’s what they’re used to playing with every day. He said that the beast HDMI inputs on TVs currently measure up to 60 milliseconds. Because NVIDIA can always improve the hardware at the server end and they can improve the capture and encode… They can do that portion in about 60 milliseconds and effectively hide the network delay. Gaikai showed, when they worked with Limelight, that with a distributed network in the United States, you could get to most homes in about 30 milliseconds. When he was out talking to the South Koreans about these things, they’re under 20 milliseconds to get to houses. People worry about the network latency, but actually, in the whole pipeline, it’s the smallest piece. Our monitors that we work with today are under 10 milliseconds of latency. They think that, working with Smart TV manufacturers, they’ll be able to cut that time down. It’s going to be possible very shortly to have a cloud-rendered experience that has lower latency than the current console plus standard television experience. Phil also talked about the tradeoff of many distributed data centers to cover the US versus only a couple. 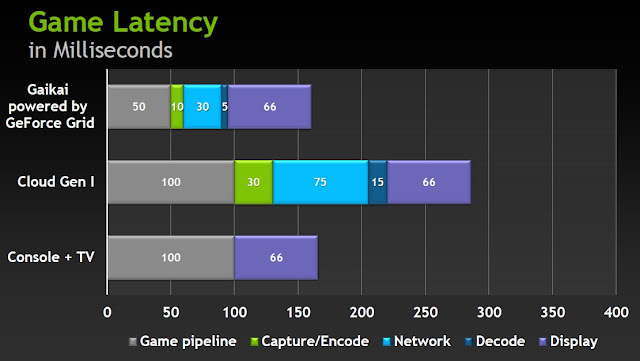 The more data centers cover an area the less latency gamers get and vice versa. Of course it is more difficult and costlier to set up more data centers. 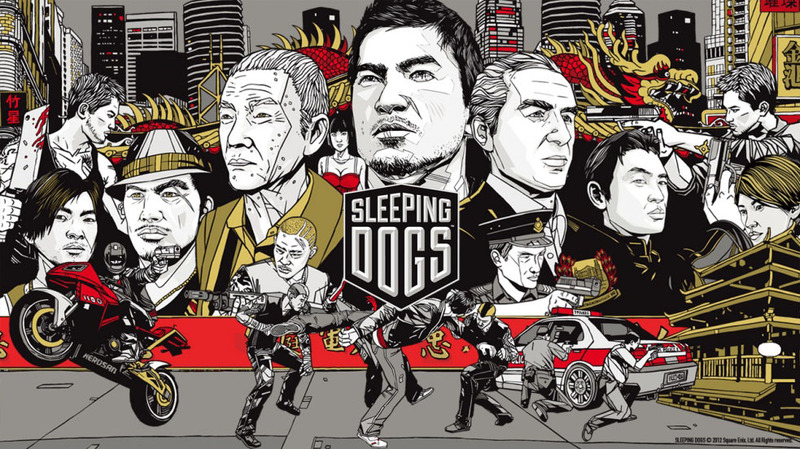 They are working with different cloud gaming providers who pursue both strategies. Phil Eisler also commented on the recent investment of their archrival AMD into cloud gaming company CiiNOW. He said there’s a lot of software that needs to be developed and supported, and NVIDIA invested quite a bit in that. They haven’t seen the cloud gaming software come from AMD and really at this time the only practical choice that people have in cloud gaming is NVIDIA. On paper there are also video encoders on AMD's architecture, but AMD has no software to make use of said video encoders for cloud gaming, so until AMD releases some software people don't know if the hardware is good enough or not. NVIDIA is now already working on their second generation cloud gaming technology and they are investing a lot into it. For GPU vendors the revenue from cloud gaming is right now close to zero, but NVIDIA is betting big on its future and is investing money and time from their engineers in it. He thinks that AMD is not really showing such a commitment. 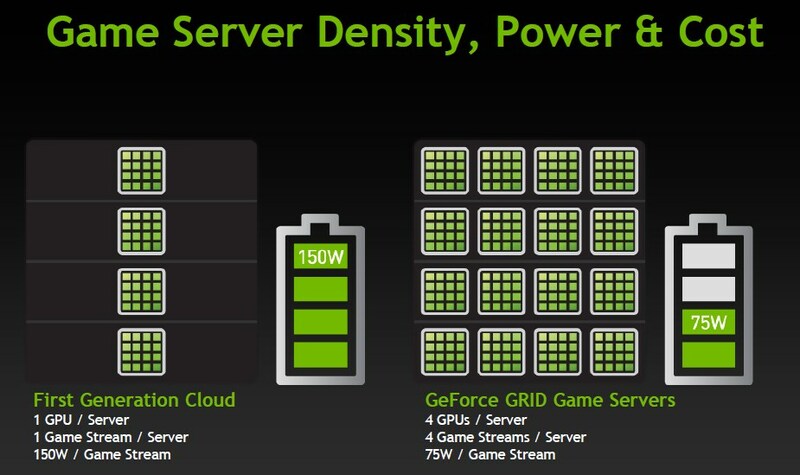 Phil said that currently NVIDIA doesn't have the intention of running their own cloud gaming data centers and are more than happy to sell their Geforce GRID cloud gaming technology to enable others to be successful in running cloud gaming services and data centers. There is great interest in cloud gaming worldwide from telco companies, games publishers and anybody in the games distribution business. Some companies also want to offer virtual desktops and applications. Currently there are so many different form factors like iOS devices, Android devices, Smart TVs and others which are incompatible with the general software development on PCs. The ability to stream to any of these devices is becoming more and more important for software developers, and the ability to reach all these devices is extended a lot by cloud gaming. Phil thinks that cloud gaming is hugely disruptive. He compares it to cloud 2.0 where the screen is just rendered at the server and streamed to everybody. Cloud 1.0 was only running some sort of master servers and communicated data back and forth. He thinks that a lot will happen in cloud gaming the next year with many products and services arriving, NVIDIA's products are sampling to cloud gaming partners now. Asia is currently leading the charge in cloud gaming, but he expects that a lot will happen in the US the next year. In five years cloud gaming could be a significant portion of the way people play games. 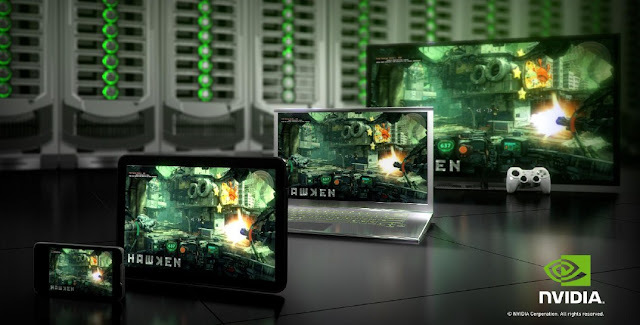 Cloud gaming is one of the major strategic initiatives at NVIDIA. As already mentioned, there’s well over 100 people working on it to some degree at NVIDIA. Whether it’s on the hardware, the software, the firmware and at the driver level. Finally, Phil Eisler said that he isn't afraid that NVIDIA's burgeoning cloud gaming business could cannibalize their established discrete graphics business. Their Geforce high-end graphics card experience still offers superior image quality and latency for local gamers. He thinks it’ll be 10 years before they have to worry about them switching over to the cloud. 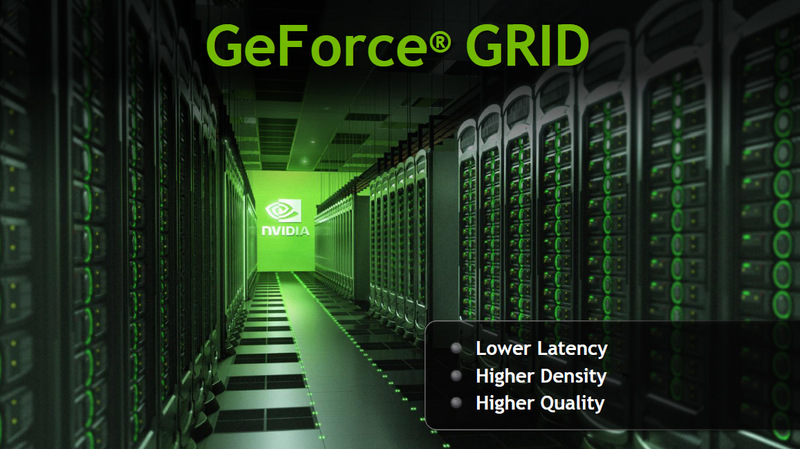 NVIDIA sees this more the opposite way, really, as expanding the market for Geforce. Phil thinks it will attract new users, because it’s easier to play and you can now play PC games on any device, not just on a PC that you have to set up yourself. For the most part, it expands the market for NVIDIA more than it takes away.